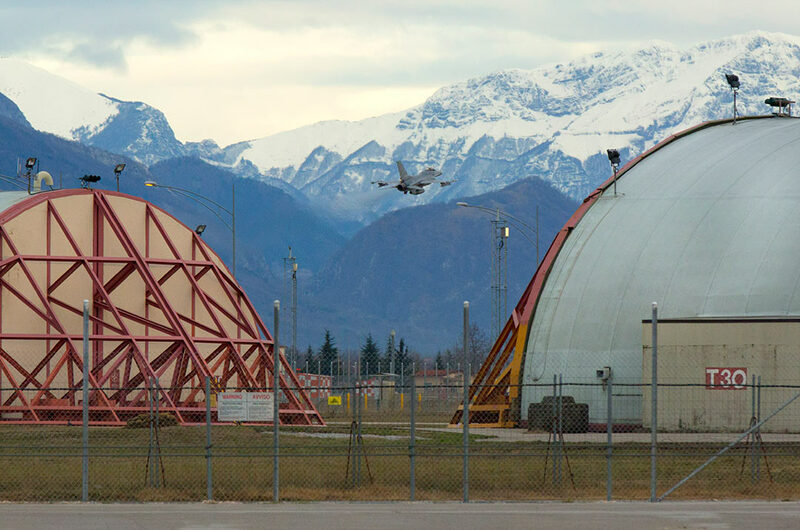 Aviano Air Base (AVB) is a NATO base in northeastern Italy, in the Friuli-Venezia Giulia region. It is located in the Aviano municipality, at the foot of the Carnic Pre-Alps, or Southern Carnic Alps, about 15 kilometers from Pordenone. The Italian Air Force has administrative control of the base and hosts the U.S. Air Force's 31st Fighter Wing. The 31st FW is the only U.S. fighter wing south of the Alps.